Cow Wooden Pencil is a wonderful little stationery toy with a black and white cow attached to the top. This sweet grey wooden pencil is 22 cm long. The cow has a lovely pink nose and yellow horns. 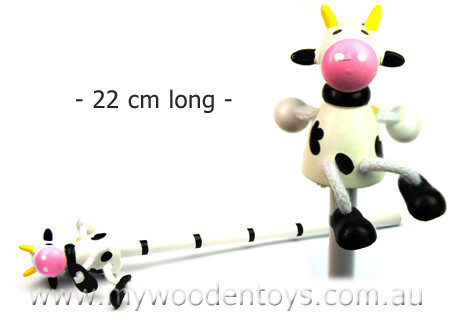 The cows arms and legs are attached to the body with strong cotton string. We like this because: "Lovely attention to detail. "